For the first time in the history of Daily, Mississippi, the election ballot is completely divided, with a black and white candidate running for each office. Even more, the newly districted senatorial seat is up for grabs. 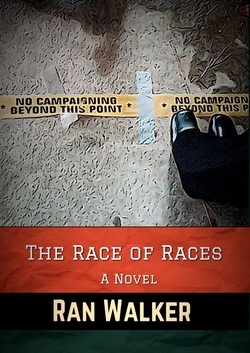 David McKlusky, a millionaire lawyer seeking to establish his own legacy outside the shadows of his wife's family, dives into the race, only to be consumed by personal issues that threaten to derail his candidacy. Chante House, a recently minted lawyer, is encouraged to run for the senate seat by her mentor, a man who has a few secrets of his own. And Keith Lawrence, a fifteen-year-old student at Daily High School, is wrestling with the loss of a classmate to racial violence and a detached mother who seems powerless to help him cope. These three stories intersect against a landscape of race and politics in a historic election that threatens to change this small MIssissippi town forever.